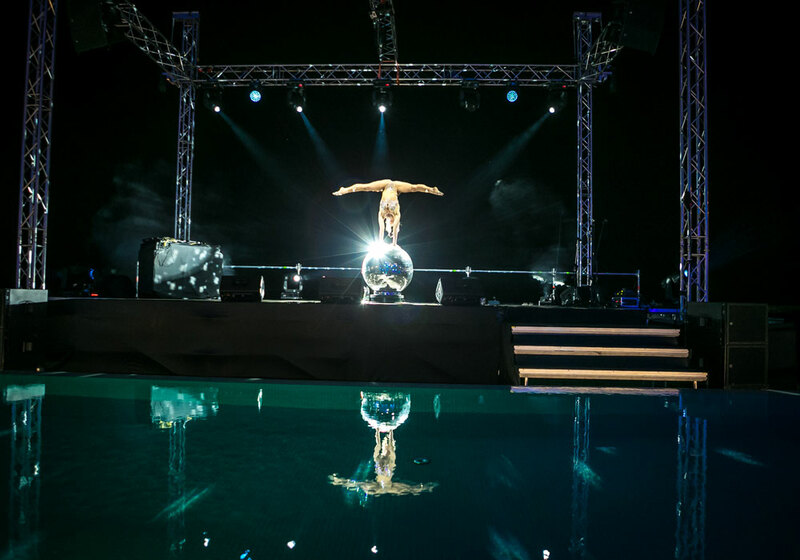 If you are looking for tantalising, graceful entertainment with a touch of class and beauty, the Mirror Ball Act will most certainly provide all. A celestial centre of energy in any space, exploding with beauty, casting light and enchantment over the faces of every spectator. 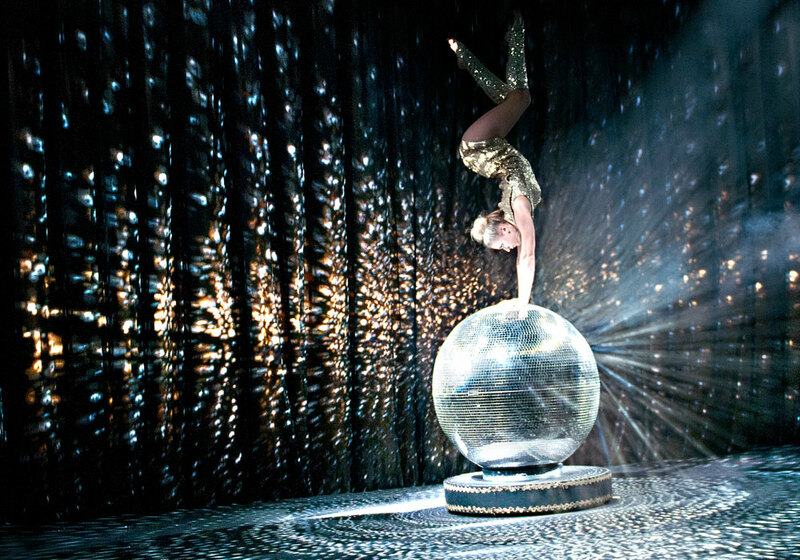 This UNIQUE circus act combines contortion, hand balance and dance, performed on top of a stunning, sparkling, spinning Mirror Ball. 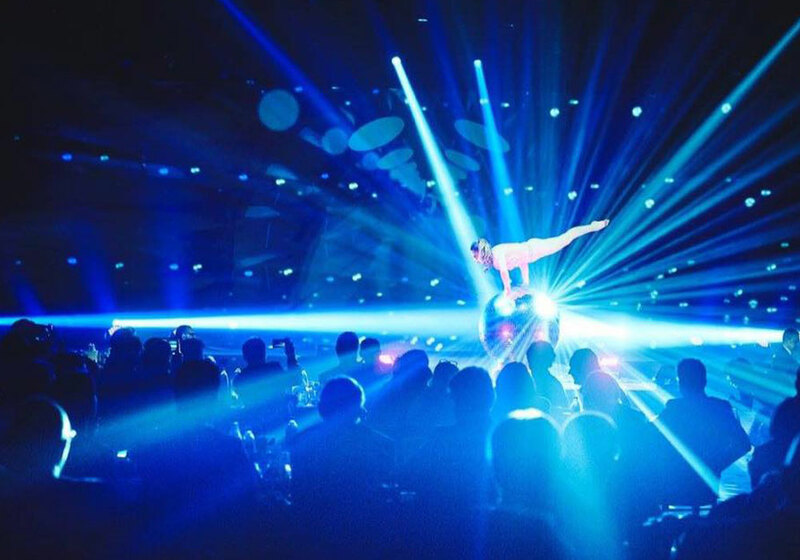 The act is performed all over the world at high profile corporate events, private events, weddings and product launches. 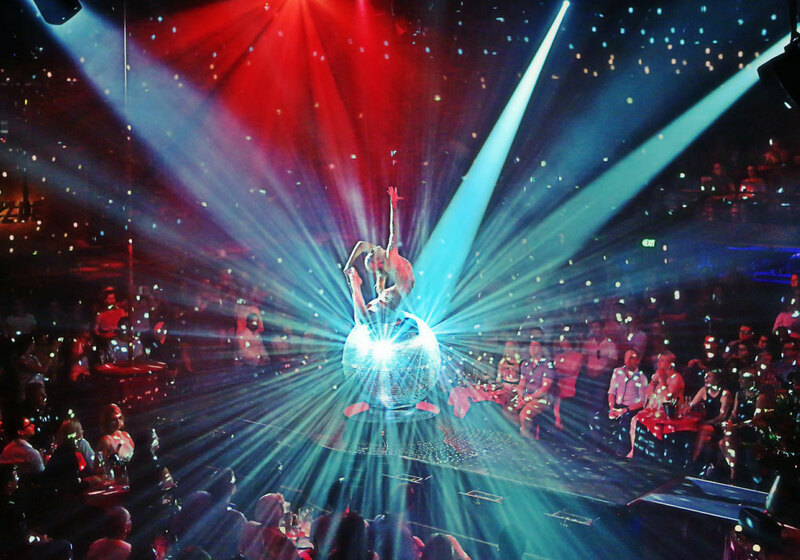 Originally created as a solo act, the Mirror Ball brand has grown over the last 3 years, recruiting carefully selected performers from all over the world to perform the act, throwing open the possibilities of bespoke individual or multi performer acts to suit the requirements of your event. 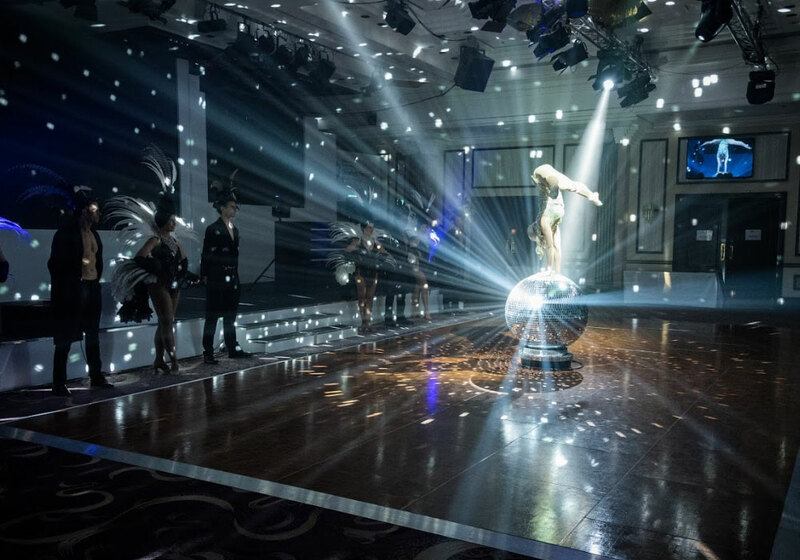 The original Mirror Ball Act made famous by Valeriya Murzak in 2014. 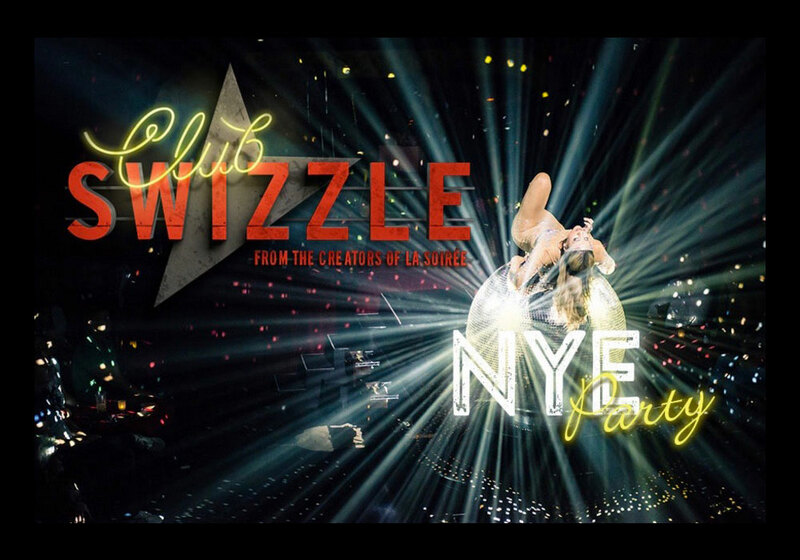 Video shows the full act performed at Sydney Opera House with Club Swizzle. Mirror Ball Champagne Table is perfect for welcoming your guests. 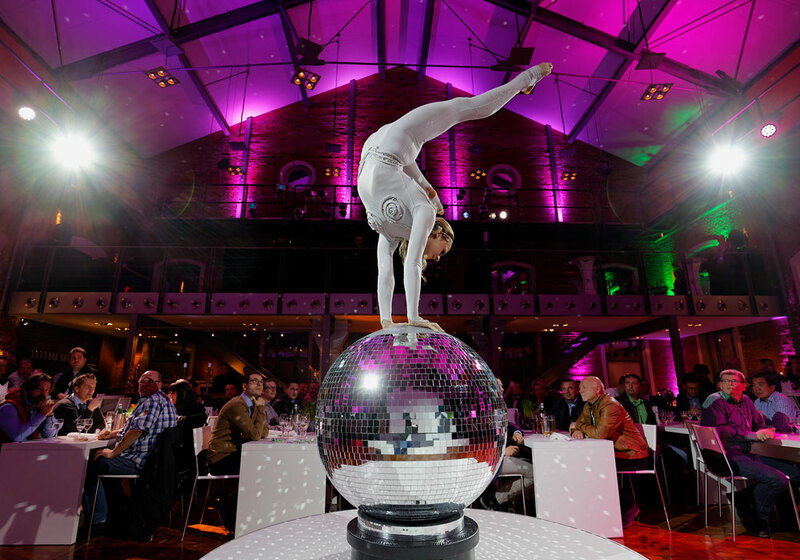 Have our stunning gymnasts serve your guests drinks and entertain them with hand balance and contortion in between. 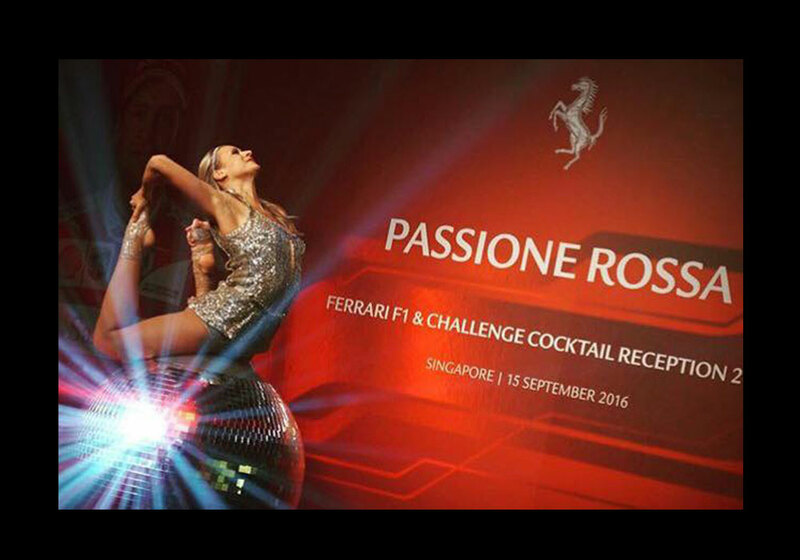 We can also provide dancers to roam around the room serving drinks to your guests as shown in the video above. We work with UK’s best male hand balancers and gymnasts. Only professional Rhythmic Gymnasts that used to compete on an International level and pro equipment of the highest quality used for this act. Perfect for keeping the party going. The Mirror Ball can be rigged before the event, brought down for the act and then rigged up again to spin the night away! 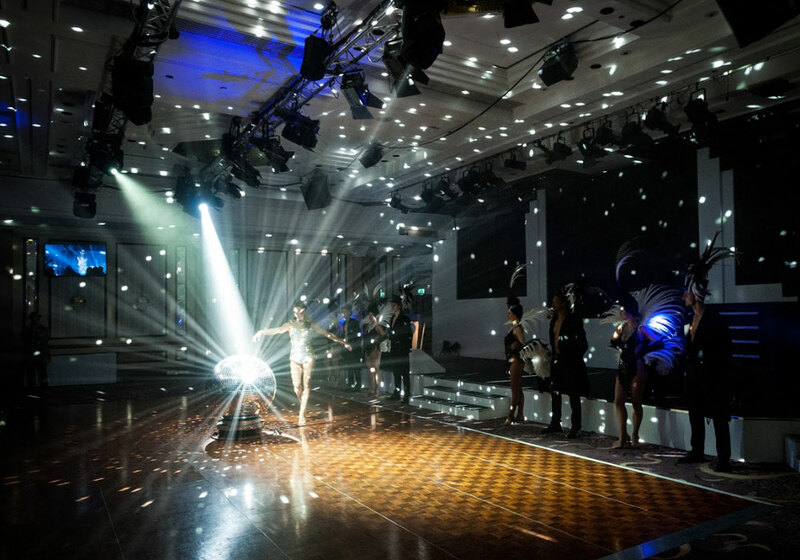 The glittering mirror theme can spill out into the audience with the use of our stunning mirror people, moving through the event, interacting with all they see. They can also be part of the mirrorball performance. Each carefully crafted mirror suit is a sight to behold and will add that extra sheen to any event. Valeriya has performed all over the world from the Sydney Opera House, to the most expensive house in the world in Mumbai, Londons Natural History Museum, British and Science Museums; Sir Richard Bransons Necker Island and the Paul Ricard Islands. Her acts are guaranteed to turn every head in the room, and her unique Mirror Ball Act will create a pinnacle performance for any event. 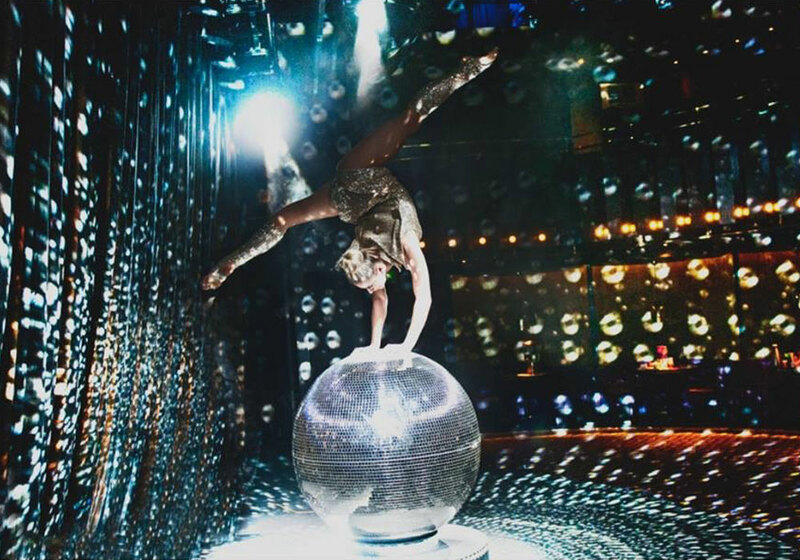 Valeriya has performed her signature Mirror Ball Act at the SYDNEY OPERA HOUSE, BRISBANE FESTIVAL and at the ADELAIDE FESTIVAL CENTRE with CLUB SWIZZLE, a brand new show from the producers of the Oliver Award winning show LA SOIREE. 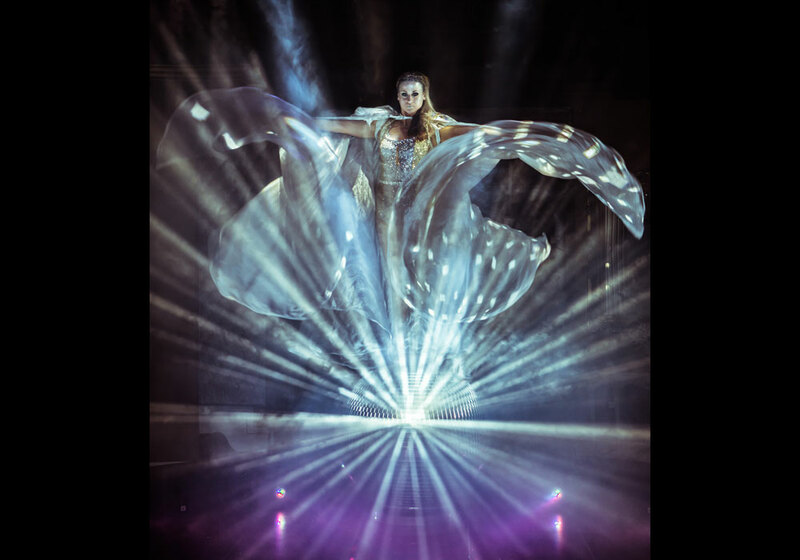 In Summer 2016 Valeriya made her Edinburgh Fringe Festival debut performing the Mirror Ball act in LaClique Encore; and in January 2017, was honoured to perform with LA SOIREE at PERTH FRINGE WORLD FESTIVAL. Most recently the act toured Germany with SKODA promoting their newest green vehicles range; performed at A’DAM Tower launch in Amsterdam; City Hall of Stockholm; Awards ceremony of Mary Kay cosmetics in Germany; launch of NYX cosmetics in Istanbul; F1 Ferrari event for Singapore Grand Prix; SWOTY Awards for Specsavers in London; Together For Shorter Lives Charity Event at Banqueting House, London; Valdimar Hotel Resort Opening in Croatia; German Hairdressing Awards at Mojo Club, Hamburg; Private Birthday event at Red Rock Casino, Las Vegas (also featuring Seal and Maroon); as well as a number of high profile private events and weddings around the world. We have two types of rotating stages available, 60cm diameter perfect for International Travel, as well as the 1m diameter stage which can be used to rotate half of the Mirror Ball in smaller venues. The Mirror Ball can also be dry hired for events as it was done for the 10th anniversary of Secret Brunch at London Roundhouse!